The task of overseeing the audits falls to the newly formed, nine-member Agency Performance and Accountability Commission. The general concept of the group was spelled out in a billapproved by the Legislature and signed by Gov. Mary Fallin last year. Appointed by Fallin and GOP House and Senate leaders, the commission is in the process of hiring a firm that will conduct the first round of performance audits. Performance audits are designed look at how effective and efficient programs are. He said concerns over politicizing the process would have been moot had Fallin not vetoed a billin 2013 to create the Joint Legislative Committee on Accountability. Ever wanted to own a herd of Bison? 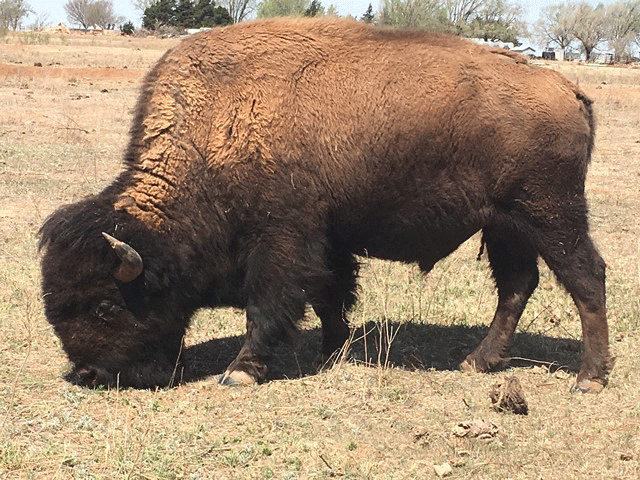 You can bid on them right now…..
Have you ever wanted to own a herd of bison? If so, you can bid on 55 of them right now. The information can be found on the Oklahoma state surplus website (see link below). The Bison have been wormed but have not had any vaccines and do not have any vet records. Therefore, you would be buying them as is. If you happen to be the lucky one to have the winning bid you will be responsible for loading and removal of all the animals within 10 business days of the auction close. The animals are located at the Foss State Park in Foss, Oklahoma. Of course, that’s not all you can bid on. There are tons of other neat stuff there as well. In the few short moments there I saw some air compressors, whistles, light poles, vehicles, travel trailers and lots of other things no person should be without. If you are interested in the Bison, you will need to get your bid in before the deadline on May 16, 2018. 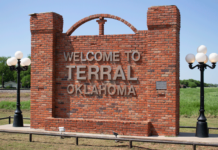 OKLAHOMA CITY– On Thursday Oklahoma Governor Mary Fallin signed into law reforms to health care for pregnant people in jails and prisons. The newly signed law will ban shackling women who give birth during incarceration, prevent dangerous restriction methods and provide a loved one or professional doula present during labor. 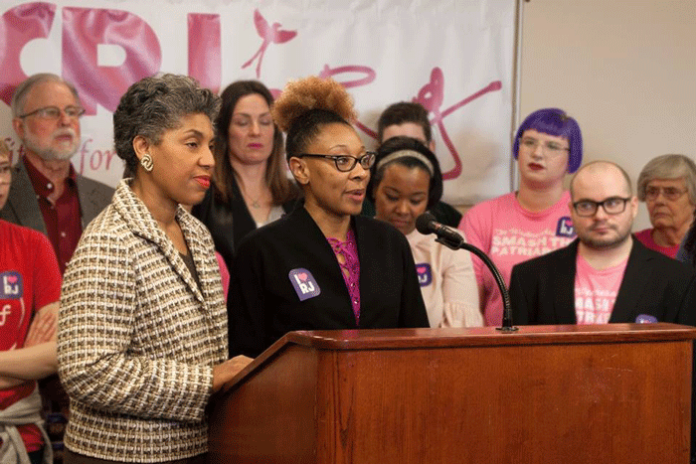 Advocate for mothers in the justice system, and mother who herself served time in the justice system, D’Marria Monday headed up the effort to pass HB 3393. As a member of the National Council of Incarcerated and Formerly Incarcerated Women and Girls, Monday wanted to help end the atrocity and include Oklahoma in the national movement to end shackling. In the summer of 2017, Monday brought the issue of pregnancy care in prisons to her House Representative, Regina Goodwin, who then sponsored the bill on Monday’s behalf. Before the passage of this law, it was not explicitly illegal to shackle incarcerated women during birth and a number of women came forward with their own stories of shackled birth in prison as Monday organized this effort. The measure will protect the health and dignity of pregnant individuals behind bars, as well as increase safety for their babies. The new law will require the safest possible restraints for pregnant people, as a means of preventing falls which can lead to hemorrhaging and miscarriage. Health care and women’s advocates across the state are celebrating the passage of this bill. The reforms are poised to bolster respect and quality medical treatment for mothers and babies during incarceration. 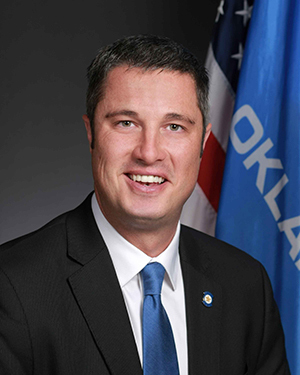 OKLAHOMA CITY – On Thursday, the Senate gave unanimous approval to legislation modifying child abuse reporting requirements. House Bill 2259, by Rep. Dell Kerbs and Sen. Ron Sharp, requires individuals, especially educators, to report suspected child abuse or neglect of those 17 years or younger immediately to the DHS Child Abuse Hotline and those 18 years or older to law enforcement. HB 2259 was requested by the Department of Human Services and the Department of Education. Under Oklahoma statutes, “teachers” include administrators, counselors and classroom instructors. 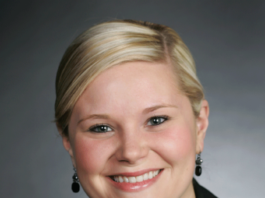 “I’m pleased to have authored this measure that will put a clear and transparent law into place to ensure children who are abused or neglected will have immediate help,” said Kerbs, R-Shawnee. As many of you know, state budgets for the last few years have been deficient resulting in drastic cuts, revenue failures, and budget shortfalls. The last year and a half, we have worked tirelessly to correct Oklahoma’s budget. This is not an easy fix but a multi-faceted approach. This past year, we have made tremendous headway in putting Oklahoma on a firm foundation. One area we focused on in correcting the budget was our state agencies. By passing several budget limit bills, we now have more legislative oversight of agency spending to ensure taxpayer dollars are being used responsibly and efficiently. At the same time we were focusing on efficiencies, we were also giving our attention to revenue that’s sustainable and long term. The votes I had to cast to provide more revenue were by no means easy, even painful at times. As difficult as it was, those votes resulted in much needed recurring revenue into the state’s budget. With the appropriation reforms and revenue-raising measures my colleagues and I passed this session, we can now properly fund our government with no agency cuts in the FY’19 budget. Things are beginning to turn around for Oklahoma. The Treasurer’s office announced this week that gross receipts for April were up 15% over last April. The Office of Management and Enterprise Services (OMES) reported that March General Revenue Fund collections were $405.5 million, an increase of 15.2 percent above March 2017 collections. In addition, gross receipts have shown continual growth for the last 13 months. Moody’s, one of the nation’s top credit-rating agencies, also issued a credit-positive report for Oklahoma earlier this month. Most notably, lawmakers passed legislation raising salaries for all teachers, support staff and most state employees, impacting thousands of Oklahoma families with increased compensation for their service to the state. With the hundreds of bills and issues we tackled, this past session was difficult to say the least, but progress was made. There’s always more that can be done and now session is over, and as we go into the interim, we will continue working to put Oklahoma on a firm foundation. 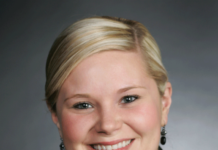 At the State Senate, I can be reached by writing to Senator Chris Kidd, State Capitol, 2300 N. Lincoln Blvd. Room 411A, Oklahoma City, OK 73105, emailing me at kidd@oksenate.gov, or by calling (405) 521-5563 and speaking to my assistant Suzanne Earnest. Lawmakers adjourned the Second Regular Session of the 56th Legislature on May 3, wrapping up work three weeks earlier than is statutorily required. Despite the early Sine Die, legislators were able to accomplish some significant policy gains this session. “Sine Die” is the end of session; it is a latin term that means “without day” or adjournment. OKLAHOMA CITY – The Oklahoma Senate on Wednesday approved a $7.6 billion general appropriations bill for Fiscal Year 2019 that gives significant funding increases for common education, mental health services, child welfare programs, and criminal justice reform. “In this budget, Oklahoma Senate Republicans undeniably have demonstrated our commitment to education. This budget contains $365 million for a $6,100 on average teacher pay raise, $52 million for support staff raises, $33 million for textbooks, and $17 million in new funding for the school funding formula. We also secured $7.5 million in funding for concurrent enrollment. Education is important to the success of our state which is why Senate Republicans worked so hard to secure significant increases for our students, teachers, and schools in this budget,” Schulz said. Lt. Gov. Todd Lamb, Kevin Stitt and Mick Cornett are in a three-way tie for first in the race for the Republican gubernatorial nomination, according to a survey released Wednesday by Magellan Strategies. The survey of 644 likely Republican voters showed 19 percent expressed support for Lamb; 19 percent for Stitt; and 17 percent for Cornett. The automated voice recorded survey was conducted on April 18, 19 and 22, according to the Colorado-based company. The survey has a margin of error of 3.86 percent at the 95 percent confidence level. According to the survey, President Donald J. Trump has an approval rating of 80 percent in the state, while Gov. Mary Fallin’s approval rating is 20 percent. Stitt is a Tulsa businessman running as an outsider. Cornett is the former mayor of Oklahoma City. Tulsa attorney Gary Richardson received 12 percent in the survey; Yukon pastor Dan Fisher received 5 percent; and Auditor and Inspector Gary Jones received 5 percent. The undecided was 23 percent. The primary election is set for June 26, with the run-off primary scheduled for Aug. 28. Previous polls this year have shown Cornett and Lamb as the frontrunners, with Stitt in third and very high amount of undecided voters. OKLAHOMA CITY – (April 27, 2018) – Oklahoma gubernatorial candidate Gary Jones said today that Todd Lamb’s plan to “get a minimum of 65% of every education dollar spent directly with teachers in the classroom,” isn’t Lamb’s plan – that he co-opted it and called it his own. According to Jones, “The 65 Percent Solution” has been around since 2005 and is the brainchild of Tim Mooney, a Republican political consultant from Arizona. With the financial backing of Overstock.com founder Patrick M. Byme, Mooney is the strength behind the single-issue advocacy group First Class Education. Jones believes it’s more of a campaign slogan than a plan. Jones also said Lamb claims he wants to limit administrative cost of others, that doesn’t apply to the Lt. Governor. Jones estimates that Lamb’s style of travel cost taxpayers upwards of $250,000 annually – which adds up to nearly $2,000,000.00 for his 8-year term as Lt. Governor. Jones said Oklahomans deserve a true advocate for transparency and accountability at the State Capitol. Nobody likes increased taxes, especially when it impacts your bottom line. But sometimes good governing involves making uncomfortable choices because we know it will set the state on a better path forward. With the revenue-raising measures my colleagues and I passed earlier this session, we’ve done that and we’ve done it in a way that will impact most Oklahomans on average of $21 per year in gasoline taxes. As always, I’m here if you need me. Don’t hesitate to reach out at Marcus.McEntire@okhouse.gov or 405-557-7327. Thanks, and God bless.